We had originally partnered with Vintage Seltzer for this recipe and it really couldn’t be any easier to make! This 2 ingredient cake recipe is so delicious and so quick! For some it’s a therapeutic activity, for some it’s their profession, for some it’s something that they dread. For me, baking brings back memories of spending time in the kitchen with my mom. But, as much as I do love to bake, there are times that I don’t have to time to make an elaborate cake from scratch. So I’ll look for my shortcuts when I can and I’m definitely not above using a boxed mix to make a cake. However, I may not always have the additional ingredients on hand or I may want to change it up a bit. Recently, I’ve looked for 2 ingredient cake recipes and came across a few that seemed incredibly easy to adapt. 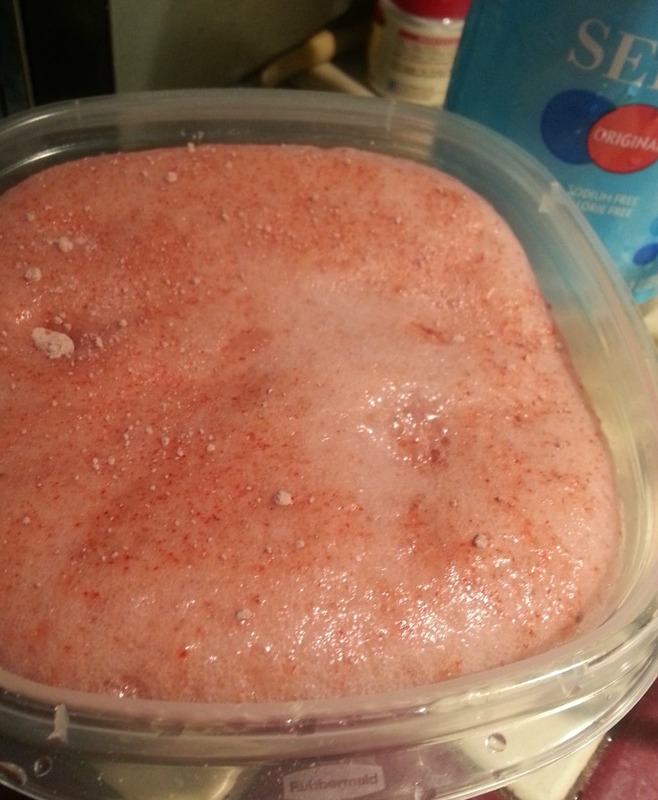 And did you know that you can use Seltzer water in cake? 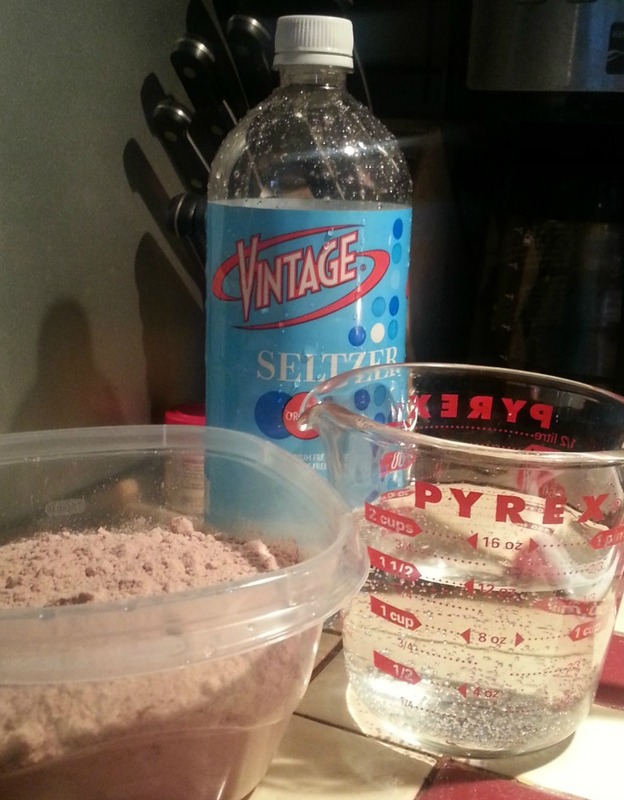 For my recipe, I used Vintage Seltzer, which you can find at a store near you by using their store locator. We were able to find ours easily in the spirits and mixers aisle. Vintage is available in both cans and bottles, but we chose to get the bottles as they were a bit easier to carry. Our product contains only 2 ingredients, Carbonated Water & Natural Flavors. “Natural Flavors” may be an essence, extract or oil from the actual fruit that is listed on the label. 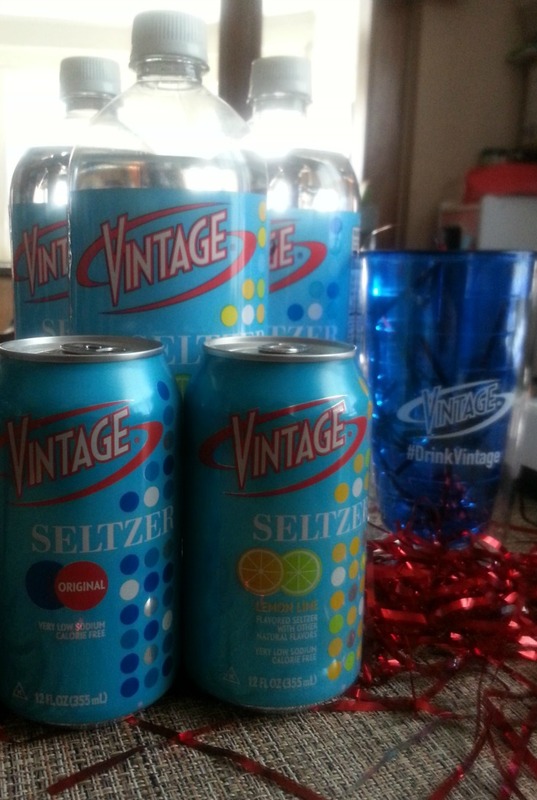 Vintage® Seltzer is sold in 1 liter bottles and 12 packs of 12oz cans. Curious what the difference between Seltzer and Sparkling Water is? It’s simple really, carbonation. Seltzer has more of that fizzy bubble and sparkling water has a bit more flavor and less bubble. But why did we choose Vintage for our recipe? Well, since it’s starting with a boxed cake mix, I wanted to attempt to make it somewhat healthy or at least have some control over the ingredients. All it takes is one of those 12 oz cans (or 12 oz from the 33 oz bottle) and you are on your way. You could try, for example, Wild Cherry or Lemon-Lime with Vanilla cake mix. Or Wild Cherry, Mandarin Orange or Raspberry with Chocolate cake mix. 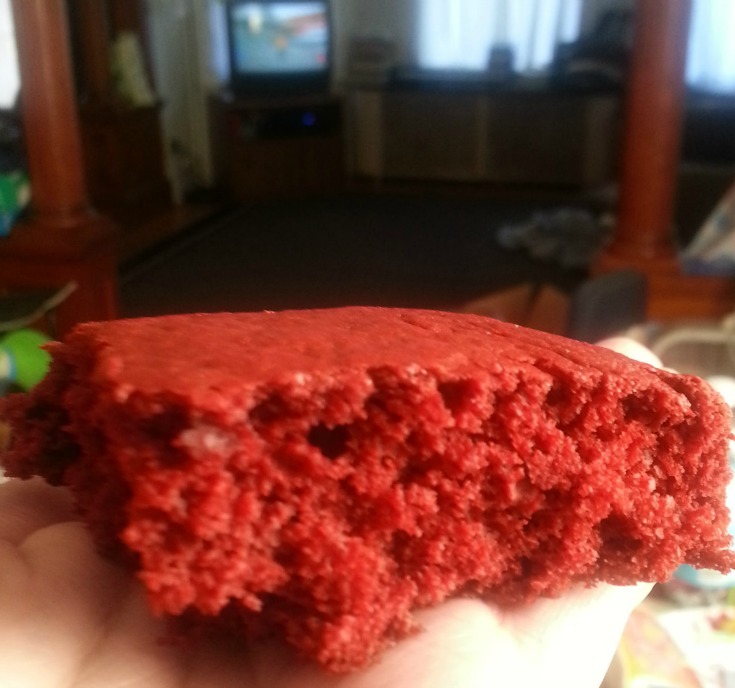 For our cake, we used original and Red Velvet Cake Mix. This might even be fun for kids to make, because once the seltzer hits the cake mix? It’s so easy, bakes in no time, and tastes absolutely delicious. You can also use this 2 ingredient cake recipe for quick cupcakes. All it takes is your favorite variety of seltzer and your favorite boxed cake mix for this recipe! I absolutely loved creating this cake and will make it again for Squeaker’s birthday party. We may even decorate a bit with our Vintage Seltzer and offer it is a beverage choice at the party. 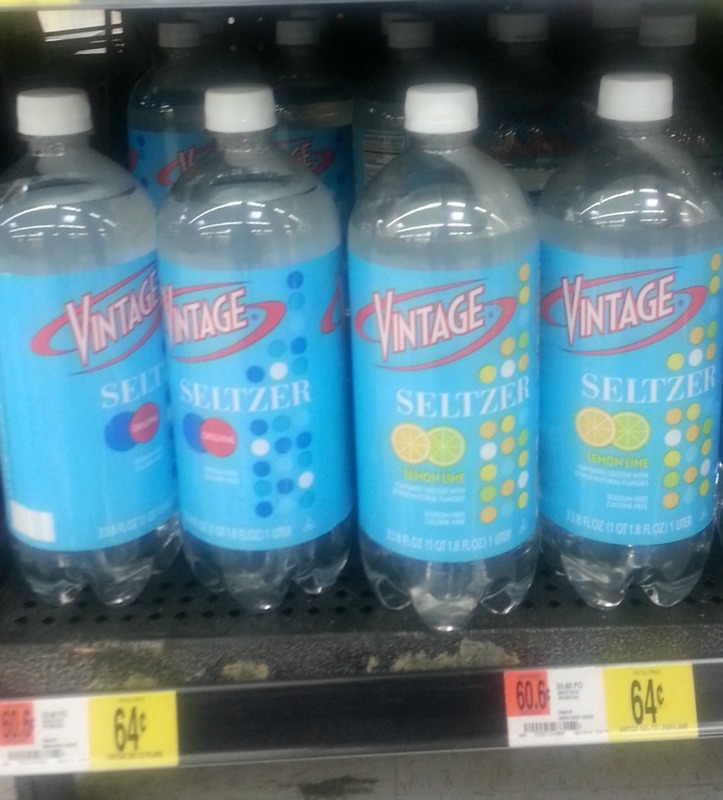 Have you tried Vintage Seltzer? What’s your favorite flavor?